One WNY doctor says despite President Trump pronouncing the Affordable Care Act "dead" with the passage of the Republican's tax plan, the health care plan is still very much alive. On Wednesday, Trump said the provision in the tax plan that eliminates the individual mandate effectively repeals the Affordable Care Act. The individual mandate imposed a tax penalty on any eligible person who didn't purchase insurance. The head of the Greater Buffalo United Accountability Healthcare Network says the individual mandate was important to funding the ACA, but most of the policy is still in place. (BUFFALO, N.Y. ) – The Greater Buffalo United Accountable Healthcare Network (GBUAHN) teamed up with WIVB-TV News4 on Wednesday, December 13, 2017 to host a telethon for victims of Hurricane Maria in Puerto Rico. 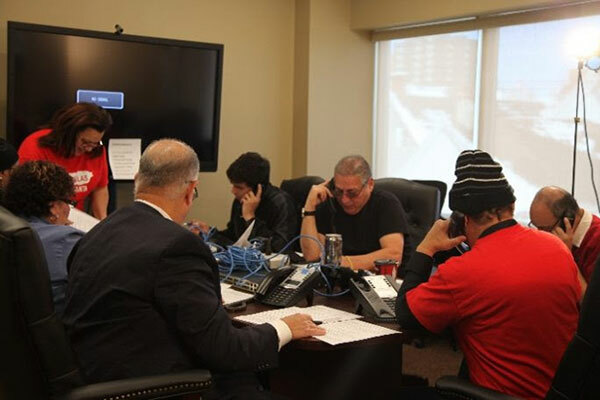 The telethon yielded more than $36,500 in donations for those who were forced to flee their homes due to the natural disaster. Volunteers from GBUAHN and members of the Puerto Rico Hurricane Relief Fund answered close to 1,000 calls from donors. WIVB-TV reporter/anchors Christy Kern and Nalina Shapiro provided live televised updates throughout the event, and interviewed GBUAHN Chief Executive Officer Dr. Raul Vazquez several times during the telethon. Dr. Vazquez and GBUAHN Chief Systems Officer Toni Vazquez (on behalf of the Raul and Toni Vazquez Foundation) donated a total of $1,500. All of the funds raised in the telethon will go to Hurricane Maria survivors who are resettling in Buffalo and Western New York and will be used toward housing, furniture, clothing, appliances, etc. BUFFALO, N.Y. (WIVB) — It has been almost three months since Hurricane Maria hit Puerto Rico. As of Tuesday morning, only 64 percent of the island has power. News 4 and the Puerto Rico Hurricane Maria Relief Fund Committee have teamed up to help the thousands of people in Puerto Rico that are still struggling. BUFFALO, N.Y. (WKBW) - A local health care company wants to make sure everybody has enough to eat come Thanksgiving. 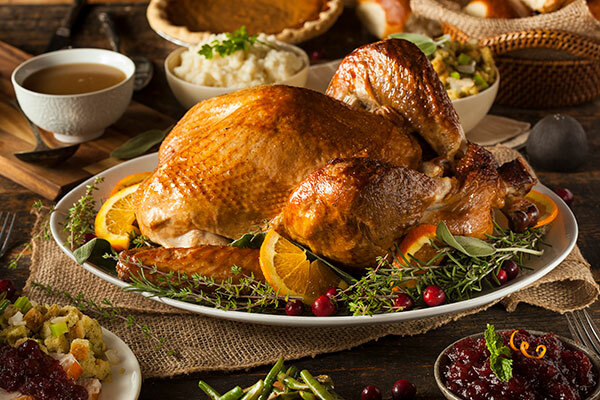 The Greater Buffalo United Accountable Healthcare Network (GBUAHN) bought 100 turkeys and delivered them to the front doors of some of their neediest patients on November 20th. "Not everybody always has the access, and I think we try to do, at least, sometimes you walk into people's homes, you see how people often live, and it's surprising even here in Buffalo that we have to do this," said GBUAHN CEO Raul Vazquez. December 3-9, 2017 is National Influential Vaccination Week, and the Greater Buffalo United Accountable Healthcare Network (GBUAHN) wants to let the public know that it’s not too late to vaccinate. At this time of the year, people may think it is too late to get a flu vaccination, but the Centers for Disease Control (CDC) recommends that flu vaccination efforts continue throughout the entire flu season. 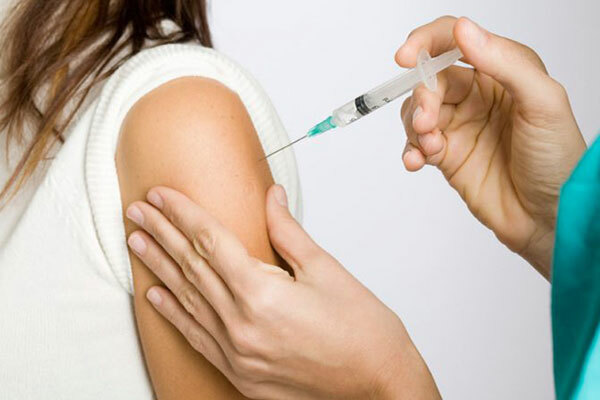 It takes about two weeks after vaccination for the antibodies that fight the flu virus to develop in the body, so it’s best to get a flu shot early. For many people each season, the flu means a fever, sore throat, cough, runny or stuffy nose, muscle aches, fatigue and miserable days spent in bed. Millions of people across the U.S. get sick, hundreds of thousands are hospitalized and thousands to tens of thousands of people actually die from the flu each year. Leading GBUAHN/GBUACO’s is their CEO, Dr. Raul Vazquez. Originally from the Bronx in New York City, the father of four came to the city in 1985 as a medical student at the University of Buffalo’s School of Medicine and practiced medicine for 26 years. We spoke to him to discuss his work as a doctor, GBUAHN, and the medical issues his organization’s patients face. The Greater Buffalo United Accountable Healthcare Network (GBUAHN), located on 564 Niagara Street in Buffalo, is the sixth largest Medicaid Health Home in the State of New York and the largest one outside of the New York City area. Since 2013, it has been treating patients with chronic illnesses from Buffalo’s low-income communities, including refugees and immigrants. Its ever-expanding network in its affiliated Accountable Care Organization, the Greater Buffalo United Accountable Care Organization (GBUACO) brings together 500 doctors and works with organizations such as Jericho Road Ministries, Inc., Urban Medical Practice, and Kaleida Health. GBUAHN/GBUACO also employs over 200 people and has been adding 10-15 new employees to its staff every two weeks. What made you decide to stay in Buffalo? I love Buffalo. New York City is good, but it’s just congested and I didn’t know if I wanted to raise my kids with all of it. It’s sort of city/country place. It’s a mixture. It’s not a city, it’s not country. It’s a hybrid. I like the combination of the two. BUFFALO, N.Y. (WKBW) - Creating a healthy lifestyle isn’t always the challenge, sustaining and maintaining it often times is - especially when it comes to managing serious conditions like hypertension. Studies show high blood pressure is the leading cause of death worldwide, with close to 80 million Americans suffering from it daily. That said, it's also the second-leading cause of preventable death here in the United States - which means you can help yourself - even over the holidays. (BUFFALO, N.Y., October 31, 2017) – The Greater Buffalo United Accountable Healthcare Network (GBUAHN) is now the sixth largest Medicaid Health Home in New York state. Western New York’s biggest health home has the largest membership outside health homes located in the New York City area. Latest data from the New York State Department of Health shows only health homes located in the Hudson River area, Manhattan, Brooklyn and the Bronx have larger memberships than GBUAHN. GBUAHN now has 7,567 members and is larger than two health homes located in the Bronx. In addition, GBUAHN is the first and only health home organization in New York State to achieve National Committee for Quality Assurance (NCQA) recognition for case management. Medicaid Health Homes were established under the Affordable Care Act to provide care coordination for Medicaid recipients with two or more chronic health conditions or a single qualifying condition such as a serious mental health condition or HIV/AIDS. BUFFALO, N.Y. -- One local doctor with family ties to Puerto Rico is speaking out about the response to the disaster on the U.S. Island. "There' s a lot of Puerto Ricans in this state, not just in New York City, and a lot of us, when it's our island, we're gonna come out. We're all American, but we're also very proud Puerto Ricans to help our own,” said Raul Vasquez. MD. GBUAHN President. For Dr. Raul Vasquez the disaster in Puerto Rico is not just a humanitarian crisis, it's personal. He has many family members on the U.S. island and worries about the federal government’s response to Hurricane Maria. “We've got FEMA we've got entities that are responding to this type of situation, and this is America, we've done this many, many, many times, and to come and see through some of the TV stations that are finally bringing information home and being able to talk to some of our family members on different parts of the island, to find out that we haven't done enough. We're back into a Katrina model. Which is a role model," said Vasquez. Through the front doors of the Greater Buffalo United Accountable Healthcare Network’s new building on Niagara Street is a reception desk that could be found in any other medical practice in the city. But what surrounds it in the rest of the 40,000 square foot building is what sets the facility apart. Primary care and specialty medicine, care coordinators, and executives fill the first through third floors of the facility. In the basement, community health workers and a wellness center round out the amenities. Within the next month, an already-built pharmacy and lab are expected to come online as well. BUFFALO, NY — A ribbon-cutting ceremony Thursday evening unveiled the largest construction project on Buffalo's Lower West Side in 25 years. The Greater Buffalo United Accountable Healthcare Network celebrated the grand opening of its new $6 million, 40-000-square-foot building. The new GBUAHN's new facility in the 500 block of Niagara Street is expected to pump $11 million into the local economy annually. The state-of-the-art medical clinic offers primary, behavioral and wellness care to people in the community. A new office for a physician practice at 564 Niagara St. is now seeing patients – and it represents some big changes. The $6 million, 40,000-square-foot building that houses the Greater Buffalo United Accountable Healthcare Network is one of the largest projects on the city's lower West Side in recent years. Physicians and other health care providers in the group who work there also are early adopters of newer medical group arrangements for coordinating patient care, and paying doctors for the quality, not just the quantity, of care they provide. The building brings together in one place a host of services from different providers, including primary care, medical specialties, wellness and fitness programs, and behavioral health, said Dr. Raul Vazquez, the network's president and chief executive officer. A new integrated medical facility for Buffalo’s West Side neighborhood is nearing its grand opening after a year of construction. It’s been just over one year since ground was broken at 505 7th Street, where the Greater Buffalo United Accountable Care Organization aims to bring together wellness with primary care, behavioral health, and other support services. On Aug. 1, the Erie County Medical Center (ECMC) Emergency Department (ED) began offering Health Home services to Medicaid clients who visit the ECMC ED. This new Health Home access has been made possible thanks to the leadership of Lucia Rossi, MAOL. Director of Outpatient Operations Primary Care, ECMC; and the collaborative efforts of ECMC ED team members and three leading area Health Home organizations including Health Home Partners of WNY; Greater Buffalo United Accountable Healthcare Network (GBUAHN), and BestSelf Recovery Community. “Staff and providers in both inpatient and outpatient settings, are working diligently and passionately every day inside the walls of their organizations to provide their patients with the highest level of care and compassion, only to be met with barriers that their patients are experiencing outside in their everyday lives,” explained Lucia Rossi. “Integrating Health Homes into our organization will create a bond with our patients out in the community that will undoubtedly enhance their healthcare and overall quality of life.”. For a group of Medicaid patients in Buffalo, getting to medical care is about to get easier, more efficient, and less expensive. The Greater Buffalo United Accountable Care Organization is now partnered with ride-hailing service Lyft to provide its most frequent users of emergency rooms and in-patient care with rides to more appropriate alternatives. Chief Executive Officer Dr. Raul Vazquez said GBUACO was looking for a different approach to managing its “top utilizers” – 30 patients that use emergency rooms and in-patient care centers more than any of the company’s 10,000 clients. As a Medicaid accountable care organization, GBUACO has a contract with Western New York-based health care company YourCare for a value-based pilot program – the only one in Upstate New York, according to Vazquez. The more GBUACO creates savings and meets metrics for quality, the more money gets returned to their network. That’s where ride-hailing service Lyft can be of assistance. BUFFALO, N.Y. (WIVB) — Currently up and running is one-of-a kind program, still in its infancy, that’s using ridesharing services to take people to and from their medical appointments. The Greater Buffalo United Accountable Care Organization is teaming up with other medical providers in Erie County and Lyft — and they say it could save them millions of dollars. A 30- to 60-day pilot program is underway to help transport patients during the hours not covered by traditional medical transport. The idea is to cut in half for their patients the nearly 2 million dollars spent every quarter on emergency room visits. Lyft would also drive patients to preventative medical visits, which would save money in the long run. A Western New York health collaboration that advocates value-based care has teamed up with the Lyft ride-hailing service to provide free rides to Medicaid patients who use affiliated services. The accountable care organization announced Wednesday that it will offer free rides to patients who need to visit any of its network providers. The Greater Buffalo United Accountable Care Organization announced a new partnership Wednesday that will allow it to move "more patients, more swiftly." GBUACO is teaming up with Lyft to provide free rides for patients. The deal was inked shortly after the ridesharing company was approved to operate in Western New York. Care coordinators will set up rides for GBUACO network patients utilizing Lyft Concierge. Concierge is a third-party web application that allows the health care provider to arrange rides online on behalf of individuals who may not have the technology, or the ability, to do it themselves. Low- and moderate-income residents who are Medicaid clients of the Greater Buffalo United Accountable Care Organizations may now get a free 'Lyft' for medical appointments. In a just-inked deal between GBUACO and the ride-sharing provider Lyft, the agency’s Medicaid patients may schedule free rides for medical appointments, helping to ease a problem where some bypassed doctor’s visits because of transportation issues. Greater Buffalo United Accountable Care Organization is one of the first healthcare companies in the Buffalo Niagara region to provide such a service through Lyft. “Our partnership with GBUACO will help remove transportation barriers and provide reliable, on-demand rides to patients who need it,” said Gyre Renwick, Lyft head of health care partnerships. Welcome to Who’s Who in Health Care, your source for information about the men and women who are involved in the well-being of Western New Yorkers. Business First invited doctors, medical professionals, CEOs, financial executives, medical company CEOs and office management to be part of this feature. In addition to biographical information, we asked what we thought was a pertinent question: “What’s the best part of your job?” We hope you’ll enjoy a look at these medical professionals. A $5 million, 40,000-square-foot medical facility is nearing completion at 505 7th Street. Once open, the Greater Buffalo United Accountable Healthcare Network (GBUAHN) medical facility, an extension of Urban Family Practice, will be the “singular largest commercial development on the lower West Side in the last 25 years” according to the healthcare providers. Taking a look at the building’s layout, the main entranceway is situated in the rear of the structure, facing Urban Family Practice on Niagara Street. Parking is also situated in back. 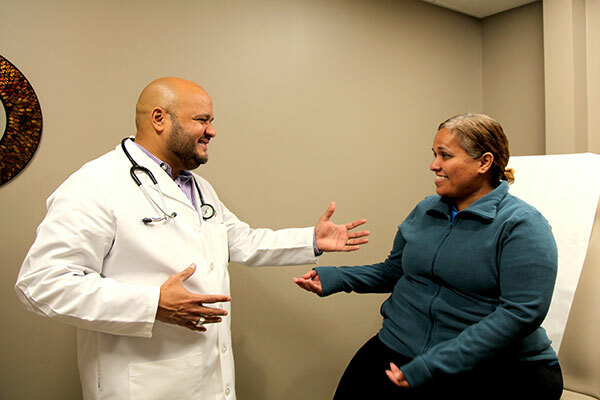 After 20 years servicing the medical needs of the lower West Side, Urban Family Practice set out to expand its medical offerings via the new facility on 7th Street. Once open, the expanded practice anticipates on providing medical care for 50,000 people a year.